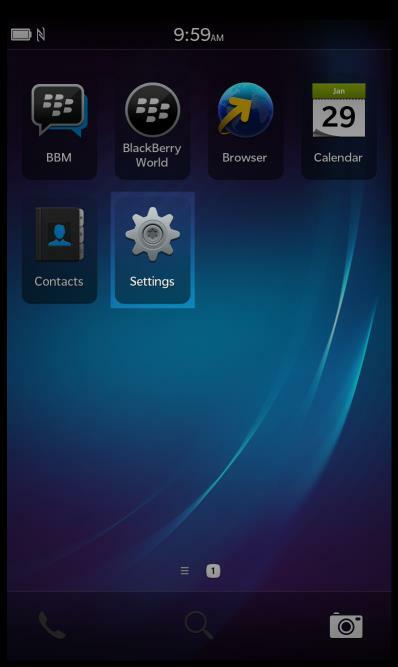 On your BlackBerry 10's home screen, tap on Settings. 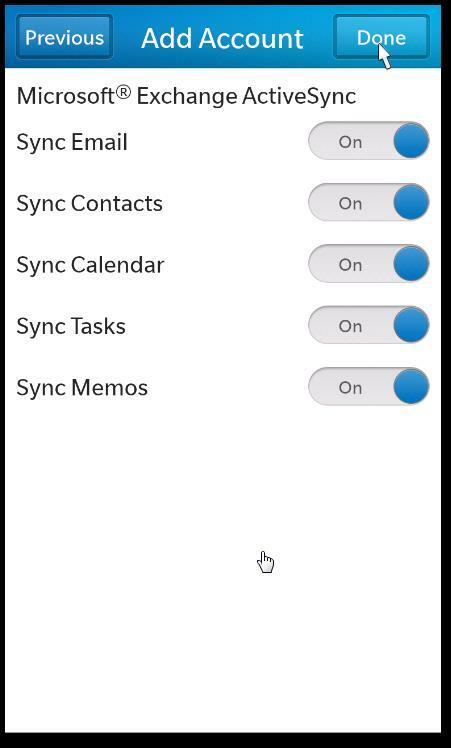 Give your ActiveSync account a name in the Description field. 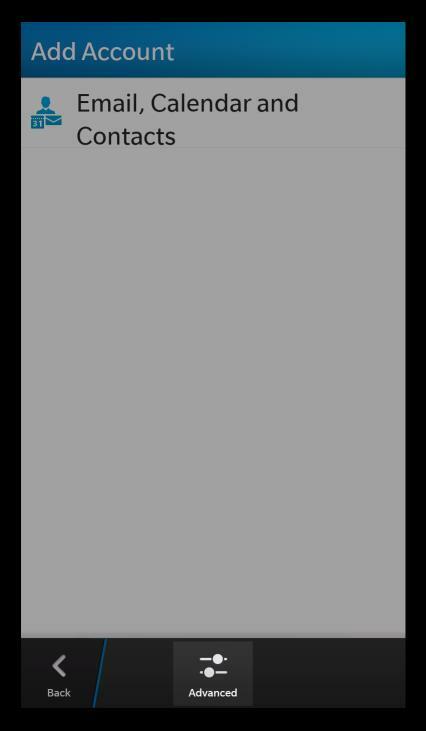 Leave the Domain field blank. Enter your email address in the Username field. 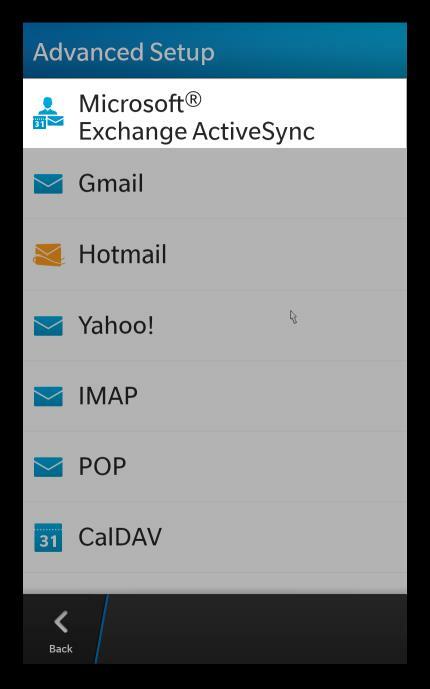 Enter your email address in the Email Address field. Enter your password in the Password field. Enter Outlook .office365.com in the Server Address field. All other values can remain at their default settings. Click Next.